Join the best climbing community in Westchester. family member Families include: Adult couples, youth siblings, or parent and youth, all residing at the same address. here Please include your company name and website, number of people interested. *$49 initiation fee will be billed at signup or waived with an annual commitment. Stop by the front desk to sign up for your membership! 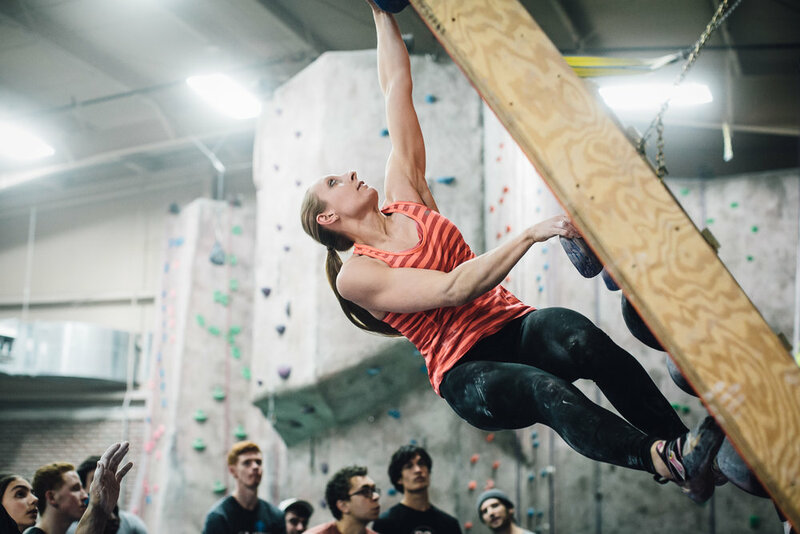 With 13,000 square feet of climbing walls and dozens of new routes and boulder problems every week, we’ll keep you climbing until your fingertips burn, your forearms feel like bricks, and your heart brims with joy. Check out our fresh climbs and tick the ones you’ve sent with our Vertical Life app. We won’t make you cross train or do yoga, but we will tell you that it’s good for you! Our fitness facility includes cardio, strength training and climbing training. Find our yoga class schedule here. An extensive selection of classes covers everything from basic climbing and rope skills to tackling the real deal with building anchors + more. 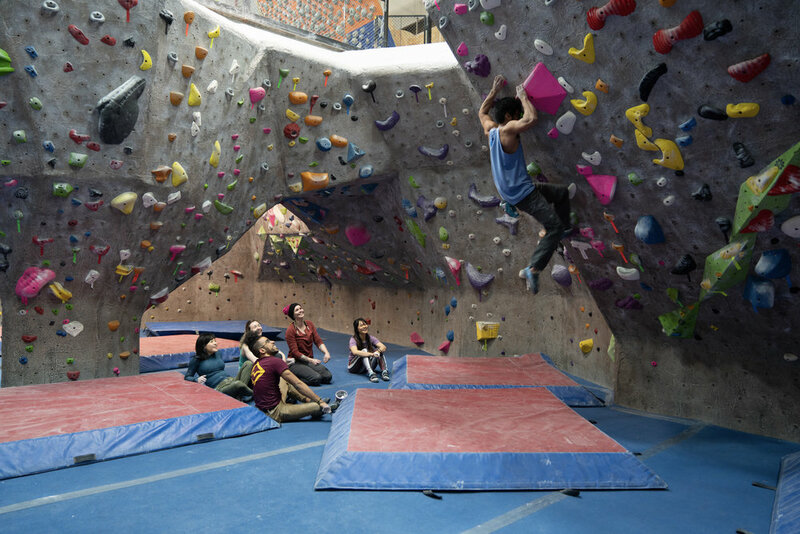 Your first intro-level class is free, then take ½ off all other climbing classes. Find our class schedule here. Climbing, like all good things, is better shared. You get a free guest pass every month to bring a friend. Get your friend hooked and you get a free month when they sign up for membership. Learn a new skill or hone a technique you haven’t yet mastered. These free clinics keep you learning and crushing. Climb, hang, celebrate, spectate. We keep the fun flowing. Don’t miss out! Find our full events calendar here. Your privacy matters. We’ll never share your data.